Are you having a difficult time understanding and using The Law Of Attraction? Do you seem to attract the same things over and over? Or you've tried using It, but it doesn't seem to work for you? Well here's a New and Simple method called the Frequency Effect, which will help you understand the Secrets to The Law Of Attraction. It was created by Master Mind Stimulators/Coaches, Ms Masta Foxx & Ms Whizdom. 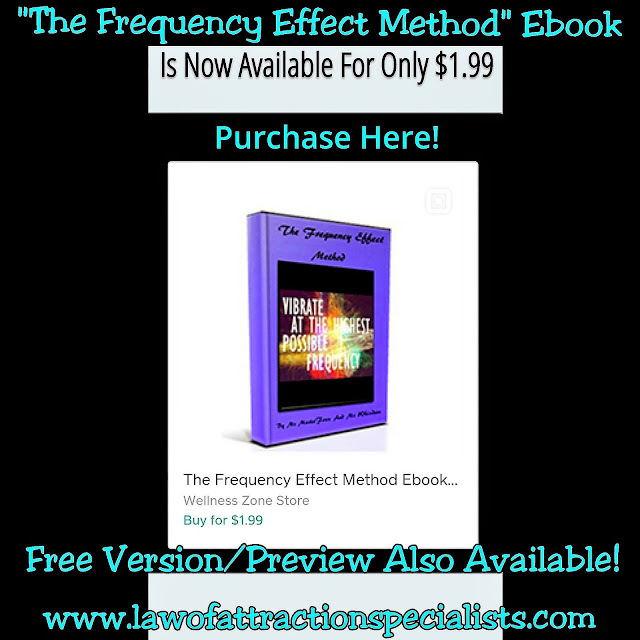 Our Ebook, "The Frequency Effect Method" is from a Chapter in Our Up-Coming Book, "Frequency Effect: Secrets To The Law Of Attraction".